Dr. Ragaie Abdel Basset Gemaie completed his bachelors and masters in ENT from the prestigious Cairo University. Further he has received specialised training on laser application in ENT, Head and Neck Surgery from France, Skull based surgery from Zurich and Microvascular free flaps from Belgium. Endoscopic nasal surgery including sinus with extensive pathologies, DCR, CSF, Choanal atresia, septoplasty, and approach to skull base. Laser procedures for pharynx and larynx including laser arytenoidectomy for bilateral cord paralysis. BAHA surgery and fair experience in cochlear implantation. He has keen interest in academics and is a consultant professor in universities and a supervisor for MD and MSc thesis. He has many articles and publications to his credit. 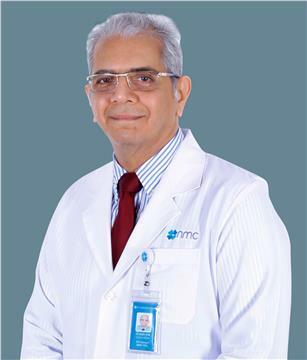 He has more than 29 years of experience in the field of ENT.